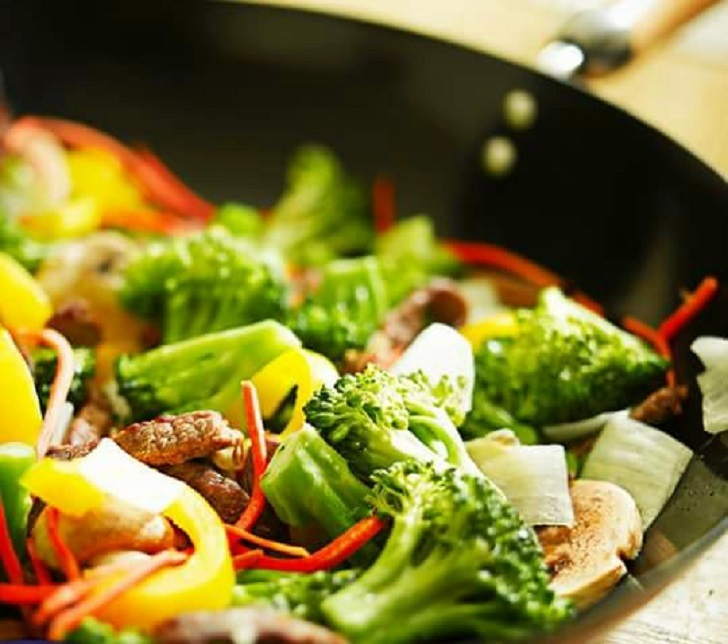 Celebrate these super healthy veggies with a quick stir-fry dish. Although there’s nothing complicated about this recipe, sautéing the bell peppers properly until they’re golden-brown is essential. To achieve the proper results, you need two things: a non-stick skillet with a heavy-bottom so that the heat gets distributed evenly, and a light hand when it comes to handling the peppers. Tossing or stirring them too frequently will make them break apart and will not allow them to caramelize properly. ⏩In a bowl, mix the soy sauce, ginger, honey/brown sugar, chili powder, vinegar, corn flour. Set aside for later use. ⏩Heat the cooking oil in a large frying pan over medium-high heat. Cook the beef strips until well done on the inside, about 10 - 15 minutes. ⏩Add in the bell peppers, garlic, broccoli, and mushrooms. Stir to mix well and cook for an additional 5 minutes. ⏩Add the sauce to the beef steak and keep stirring until it thickens. Season with salt and black pepper. Add some water to adjust the thickness of the sauce to your preference. ⏩Garnish with the spring onions and serve over a bowl of steamed rice.